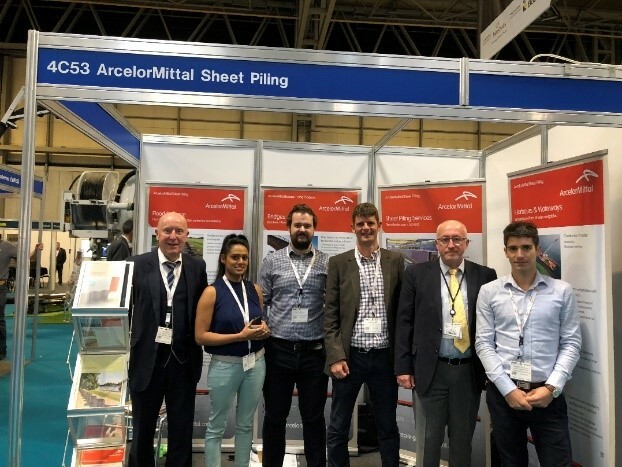 On 11 and 12 September, ArcelorMittal Europe – Long Products Sheet Piling participated in Flood Expo in Birmingham, the world’s largest exhibition and conference showcasing the latest innovations to predict, prevent and manage flooding. Flood defence is an important topic in the UK, with the government allocating a budget of over £800 million to it. Each year, Flood Expo attracts a large audience of designers and engineers, as well as a large team from the government’s Environment Agency. 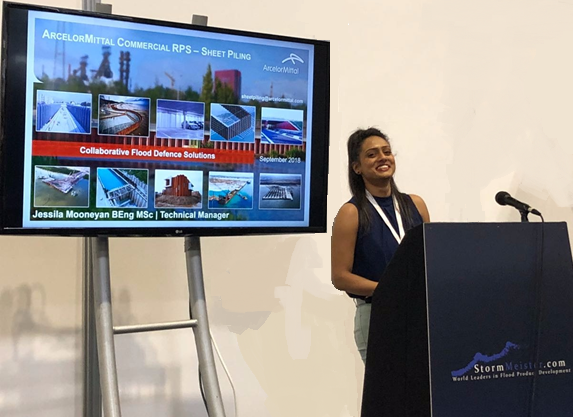 ArcelorMittal Sheet Piling exhibited at the show this year and gave a seminar demonstrating our innovative and cost-efficient solutions as well as our technical expertise on flood defence projects, such as Littlehampton where our HZ® / AZ® combined wall system was chosen. ArcelorMittal Sheet Piling is currently tracking a large number of upcoming flood defence and flood alleviation projects in the UK and Ireland, working closely with the design engineers, main contractors and specialist piling subcontractors to help the government make best use of their Flood Defence funding. ​Left to right: Jim Whittle, Jess Mooneyan, Dave McNulty, David Baxter, David Woodhouse, Aurelien Guimard.